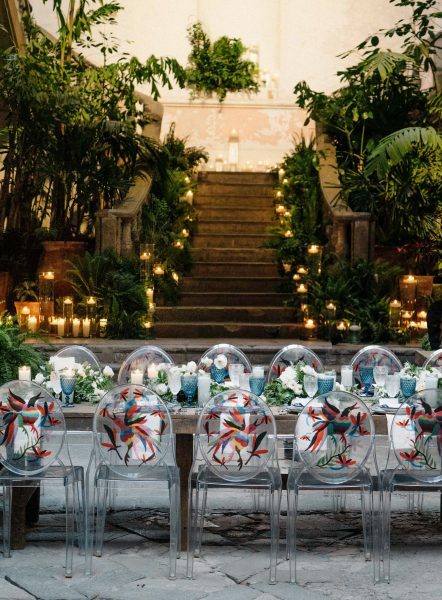 Custom Otomi prints applied to ghost chairs were the perfect combination of art and authenticity for Lana & Adam’s wedding in Mexico City at General Prim Proyecto. Image by Steve Steinhardt. 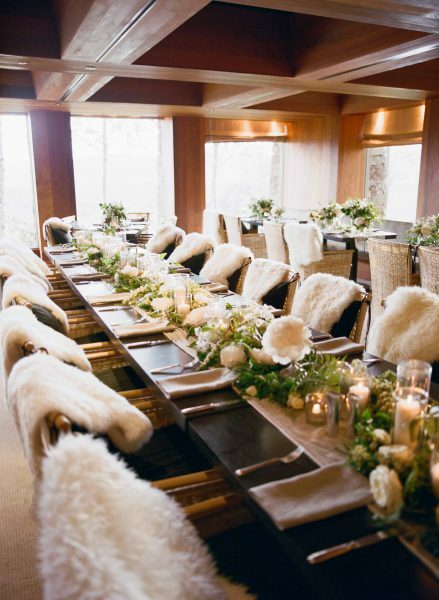 Faux sheep skins on rawhide chairs felt regional and unexpected for Katie & Cody’s wedding in Jackson Hole, Wyoming at the Amangani. Image by Carrie Patterson. 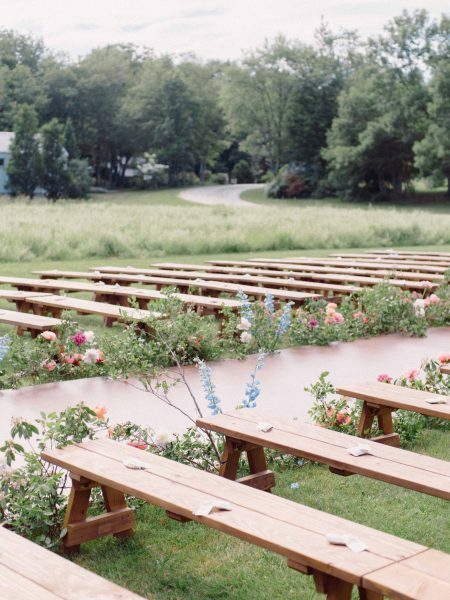 We love benches, especially in wide open spaces where we don’t want to deter from the scenery. These rustic beauties were perfect for Sarah & Matt’s wedding at Winvian Farm, especially with flowers from Saipua growing up the sides. Image by Steve Steinhardt. 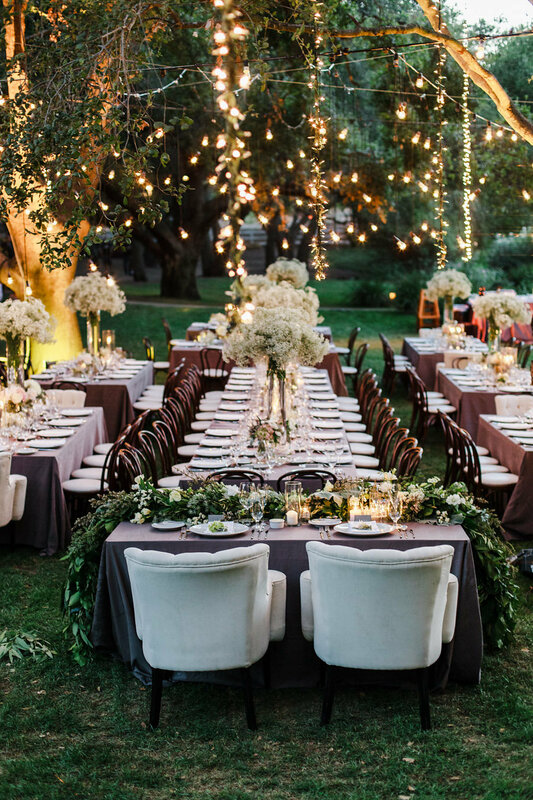 To help play off the old world charm of Sardinia, Italy, we sourced local antique dealers to create mismatched ceremony seating for Olivia & Freddy’s wedding at Cala di Volpe. Image by Lauren & Abby Photography. We love going a bit residential, especially at dinner time when guests need a bit more comfort. That said, we still like to get a bit creative at the same time. 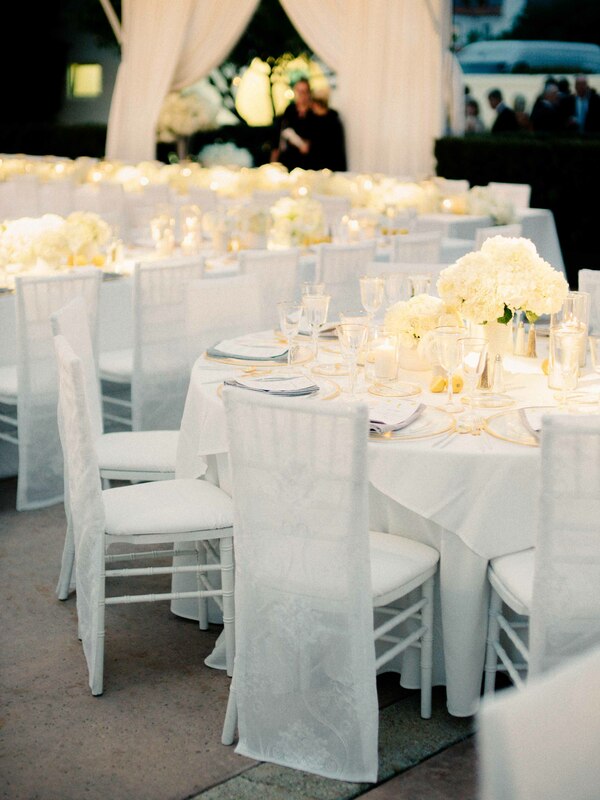 Cane back chairs and linen chair backs like you’d see in the loveliest of homes was the seating of choice for Olivia & Freddy’s reception. Image by Lauren and Abby Photography. Courtney & Charlie’s wedding in Charleston took place in a beautiful rotunda at Gibbes Museum, which was filled with vintage tile, natural light galore and beautiful artwork. 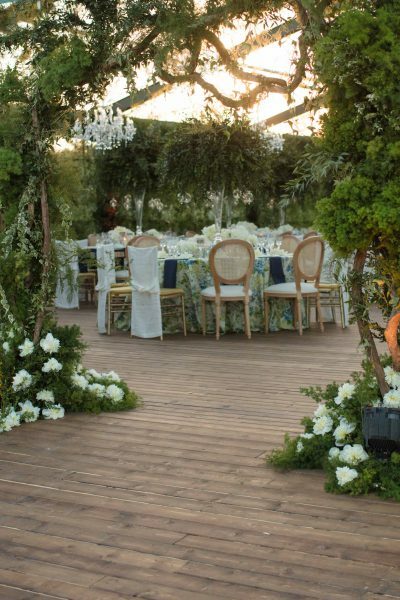 Because of the natural beautiful of the space, we didn’t want to take away from it with any of the seating or decor. 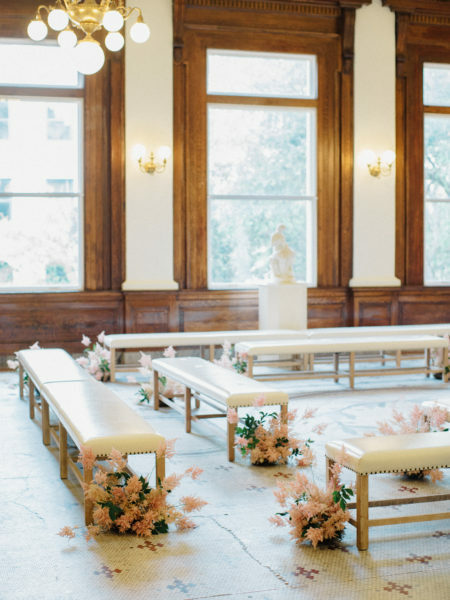 Enter these gorgeous cream benches which blended in with the beautiful gallery space. Image by Steve Steinhardt. While chair backs aren’t for everyone, I personally love how they can soften a space. Of course the right textile is key in their success. 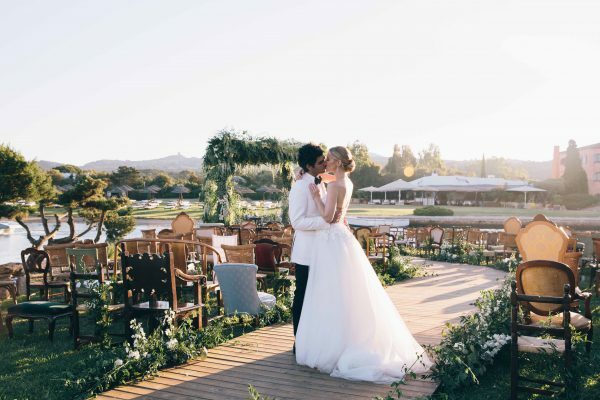 For Alison & Ryan’s Palm Springs wedding, we used raw linen chair backs with hand embroidered detail which paired perfectly with Ali’s playful yet refined desert wedding at La Quinta Resort. Image by Steve Steinhardt. Adding a bit of upholstered furniture be it settees or club chairs or banquettes, can add interest, texture and comfort. We used these velvet beauties for Kelly & Andrew’s wedding for both their personal seating as well as the head of each dining table. Image by Steve Steinhardt. For Sarah & Jack’s wedding ceremony, we built an open air chapel in the backyard of the family home in Chagrin Falls, Ohio. 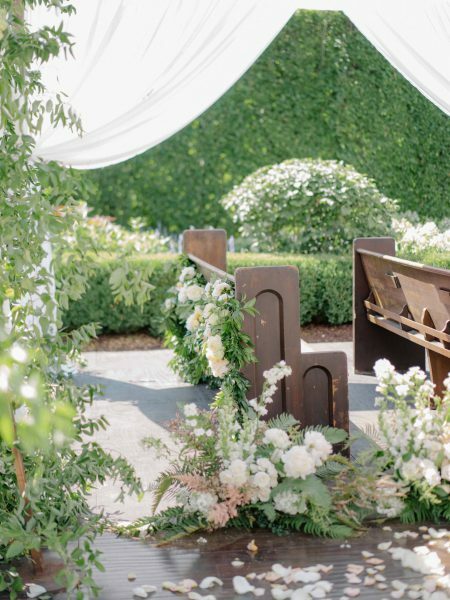 To ensure we made the seating feel as sacred as the space, we sourced vintage church pews from Found Rentals. Image by Steve Steinhardt.